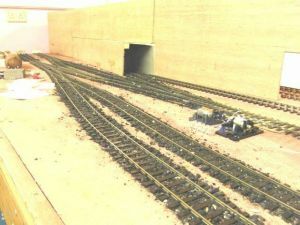 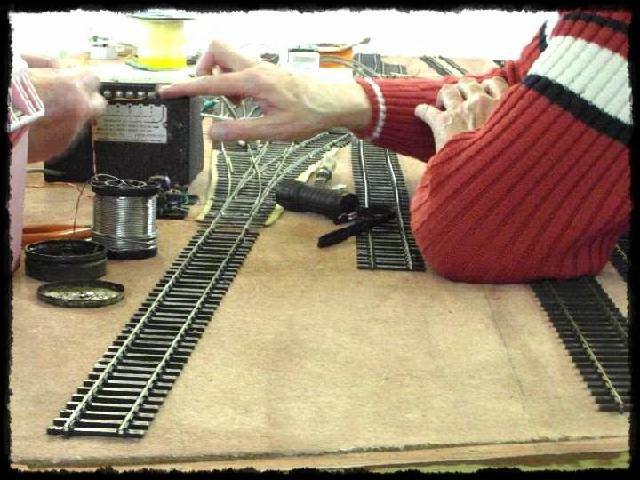 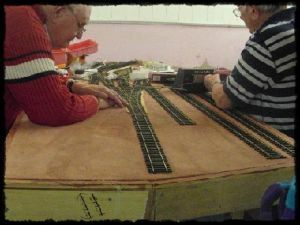 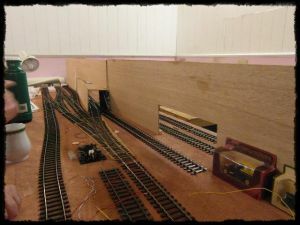 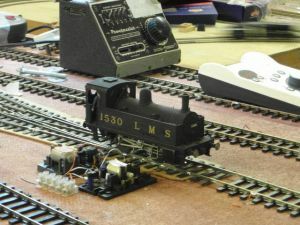 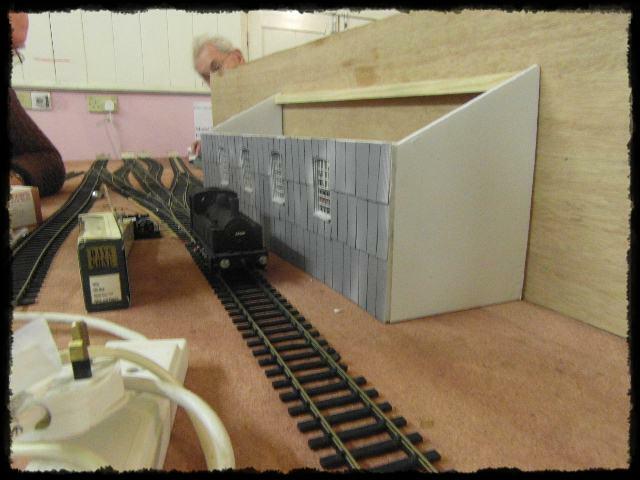 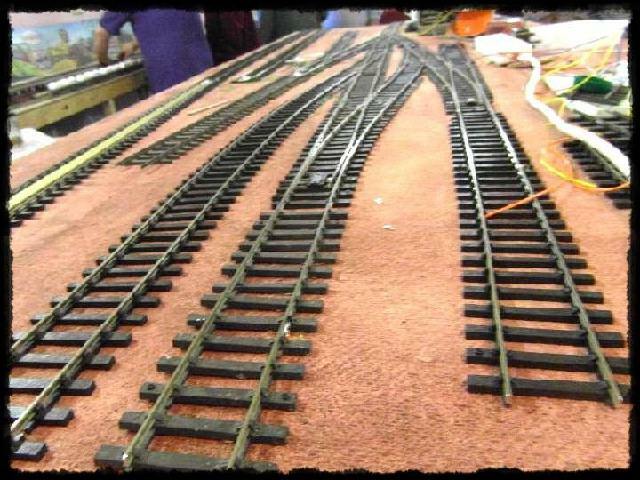 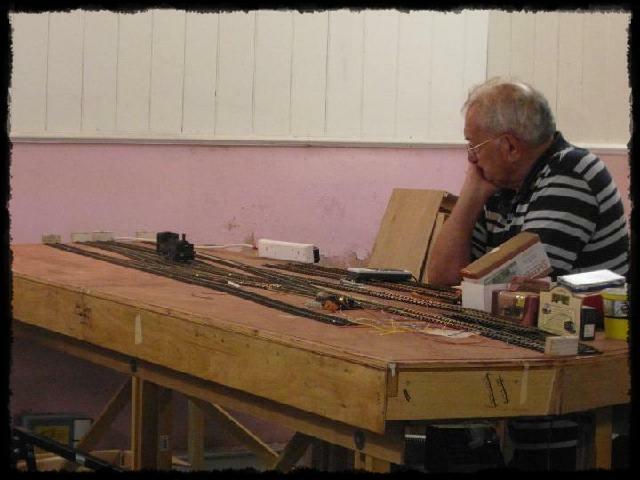 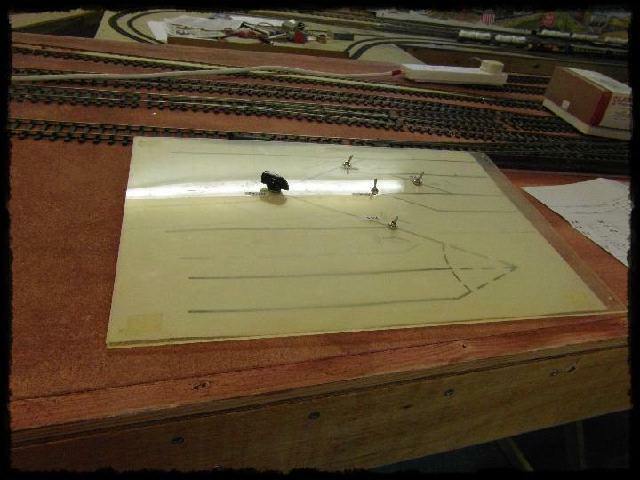 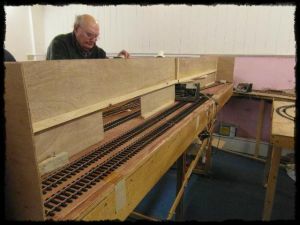 This ‘O’ Gauge Shunting Layout is being readied for the club’s 2015 Annual Exhibition in September. Testing the movement on a three way point on one of the two baseboards. August 2013, Ballasting starts in earnest.